Since it is Autism Awareness Month, here is a video of my song about those on the autism spectrum – Hello Out There. 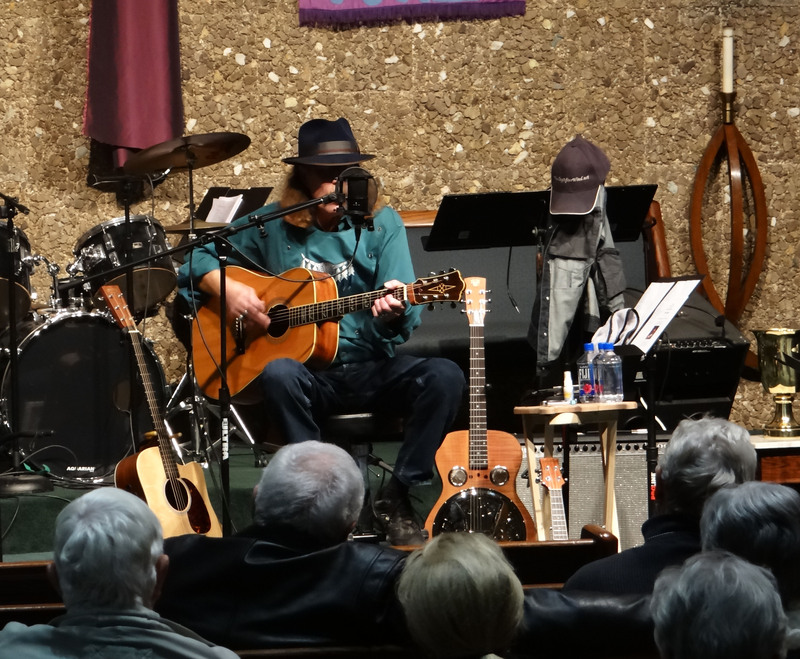 At my one man show at Christ UMC a couple of weeks ago, I played my newest song, Hello Out There, for the first time in public. Introducing the song, I explained that there were various members of church families that were on the autistic spectrum. I was not personally familiar with autism untill a few years ago. I noticed the symptoms in a few of the children, but did not know it was autism. A college student at church was helping with the Autism center at UNT in Denton and facilitated a program at church with a director of an autism program who had autistic children. After that I began to realize how varied the autism spectrum is. If you do not know, the autistic spectrum stretches from those who are highly functioning to those who are low functioning. Those who are highly functioning need steady, but only slight, intervention by others. Those who are low functioning, on the other hand, need almost constant attention. I have witnessed incidents at church over the years with some of the children. A few days after one particularly violent episode, I had a conversation with the child’s father. I asked him how the child was and he told me that he wished he could get inside the child’s head to know what the child was thinking. I kept thinking about that because, as a songwriter and author, that’s what I do – think about things. I do not have any insight into an autistic person’s state of mind. But, having stuttered all my life, I know what it’s like to live in one’s own head. And that’s what led me to write the song, Hello Out There. It can be found here.